(W) Roberto Aguirre Sacasa (A) Francesco Francavilla, Jack Morelli (CA) Francesco Francavilla. 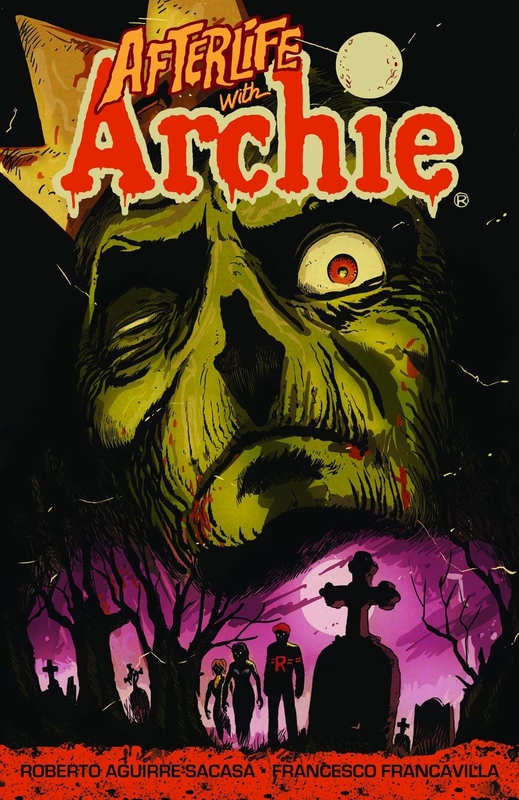 When Jughead's beloved pet Hot Dog is killed in a hit and run, Jughead turns to the only person he knows who can help bring back his canine companion - Sabrina the Teenage Witch. Using dark, forbidden magic, Sabrina is successful and Hot Dog returns to the land of the living. 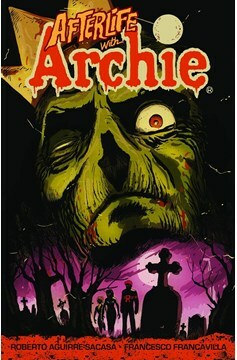 But he's not the same - and soon, the darkness he brings back with him from beyond the grave begins to spread, forcing Archie and the gang to try to escape Riverdale! Collects issues #1-5..